Description: A free collection of 7 popular card games to play. It contains the following popular solitaire variations: Bisley, Carpet, Flower Garden, FreeCell, Klondike, Nestor, Yukon. 1st Free Solitaire features: &quot;Show Next Move&quot; command, one move undo, selectable backgrounds, automatic card moving, restart feature, sound, and more. Interface is completely customizable. Download 1st Free Solitaire now and you will never get bored with it. 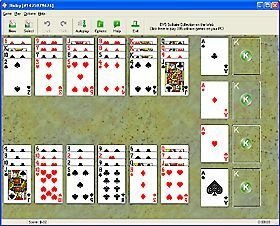 Description: 21 Solitaire is a collection of 7 solitaire card games based on a Blackjack theme. The object of the games is to make Blackjack hands, hands that total 21 in value. These highly original games, found nowhere else, blend classic solitaire themes with the excitement of Blackjack. Description: SpellCard is a collectible-card game with colorful graphics and unusual gameplay. Face your opponent in games, earn money, buy new cards! Can you collect all the cards and defeat the most powerful enemy? Then go ahead and show what you got! Description: Absolute Yukon Solitaire is a collection of solitaire card games based on the classic game of Yukon, which traditionally ranks as one of the favorite solitaires of all time. Absolute Yukon Solitaire includes both familiar favorites and new games invented specifically for this collection, and available nowhere else. Description: Play solitaire as an arcade game with Action Solitaire. 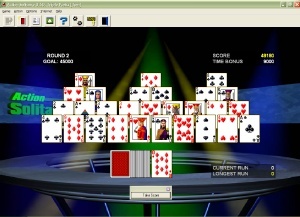 Unlike regular solitaire, Action Solitaire is played for points against the clock in timed rounds. Action Solitaire has 52 different games. Play fast action games such as Triple Peaks, Triple Towers, BlackJack Speed, and Picking Pairs. Play solitaire classics like FreeCell, Klondike, Spider, Pyramid, Golf, Gaps, Montana and Yukon, all like you have never seen them before. Description: Play the card game Uno with beautiful cards, as well as optional sound and animation. You can play against 3 computer opponents. Complete game history is available, as well as the ability to save a game in progress and reload at a later time. The level of difficulty can also be defined, allowing players to progress as skills improve. Hints and cheats are available. The software is customizable, with settings for nearly every interface aspect. Description: Art Strip Poker is a HD interactive video card game for PC starring beautiful body painted female models. The game consists of 2 sets, each with 3 beautiful, seductive girls dressed in masterly artistic and highly realistic body painted clothing. Not only blouses and shorts are painted on, but also the underlying layer of delicate, lace underwear. The game interface is very easy to use and is available in 10 languages. 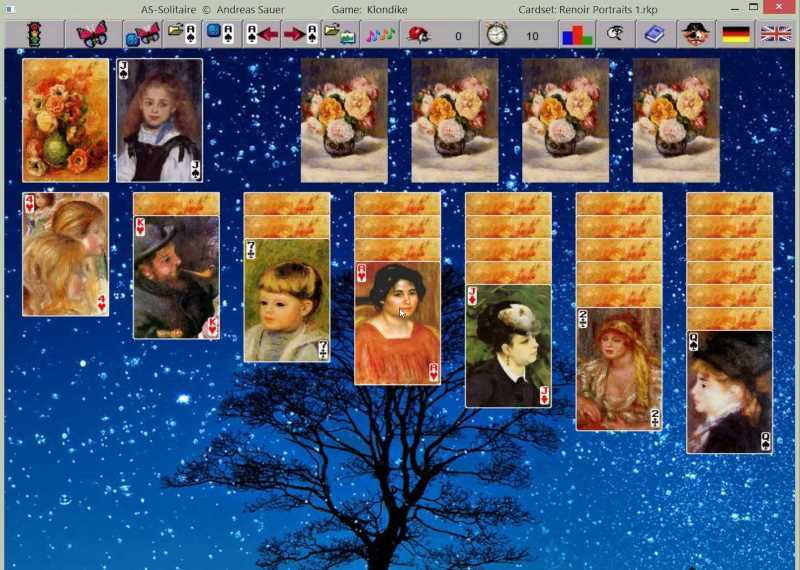 Description: Solitaire card game with 120 solitaire games like Klondike, Freecell, Spider and many more 4 different cardsets standard, animals, flowers,and pictures of the french artist Renoir) are in the downloadi. Additional 1800 can be downloaded from the homepage.The game resizes to desktop height. Can be played portable on USB-Stick. Description: Play this online trick taking card game that is similar to Guillotine or Coup D'e tat. Everyone takes turns being the dealer and choosing the type of hand to be played. Avoid taking tricks to avoid taking money cards. Money is given to the dealer when anyone else takes a money card. Be the one with the most money at the end of the game to win. 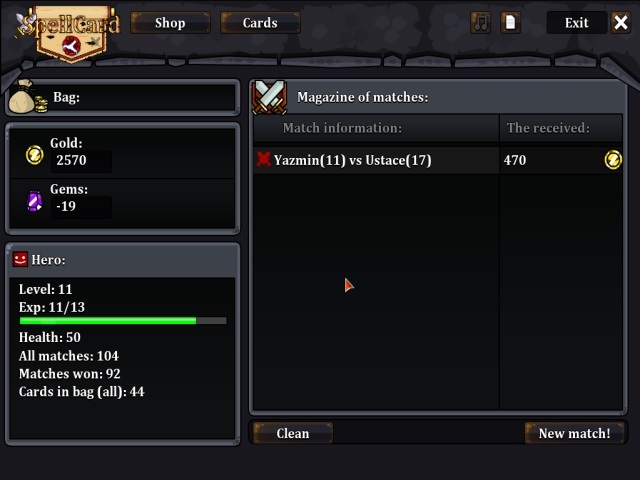 Needs the Tams11 Lobby from www.tams11.com in order to play against others.